Konor, Konor system. After our arrival on Konor, we were ambushed by Marneus Calgar and two of his battalions. Mon-keigh knows no honor. After everything we did for their race. Chaos was involved in this, because I did not sense this ambush. We were ambushed. From cockpit of my fire prism I saw bright lights, and unit upon unit of terminators and scouts appeared in front of us. Shining spears who run vanguard where completely destroyed by fire and charge of opponents army. Even dark reapers in ruined building bite it, and was all killed. Wraithguard run out of their Serpent with Shadowseer in support and tried to buy us a time to reorganize. Evan magnificent wraith contracts were cut down all but one by terminators. But their sacrifice gave as time to reorganize our lines and return fire. Terminators were the focus of our attack and we thinned their lines, but did not have destroyed a single unit. In the middle wratihblades run out of their transport, shoot and charge one unit of scouts, leaving only four alive. Marines continued their onslaught. All wraith contracts fell under hail of bolt rounds and merciless blows of hammers. One Wave serpent was badly damaged. But in his blood lust their commander run in front of our army. Pilot of Wave serpent size opportunity to open fire on Ultramarines commander, but without any result. Few more terminators fall and by skilfully piloting of Voidraiven, he was able to pinpoint Chief Librarian Tigurius and eliminate him from this battle. Enemy commander continued his push, and charged Wave serpent, dealing few wounds. Rest of Ultramarines army tried to keep pace with its commander and Shadowseer fell as a victim of Land speeder heavy flamer. Realizing that enemy commander must be stopped, most of our army concentrated fire on Calgar, he was wounded, but survived. Night spinner and badly damaged Wave serpent thin down terminator unit to only one man. Wounded Calgar was not able to withdraw, so he continued his attack. His army had run to help him. Both of our Serpents was damaged beyond repair. This time we were determined to punish Mon-keeigh general for his foolishness. My gunner did final blow that swept Calgar from his feet, and scouts draged him towards their lines. That was the last of him we saw. Voidreven add another kill to his log - Land speeder this time. Terminators kept their advance even after fall of their commander, but their ranks was thinner and thinner. But price was paid for our fierce defense. One of the Marines skimmer find our Shadowseer in ruins, flamed him, and then charged. He fought viscously but was wounded. Our heavy vehicles continued to kill terminators one by one. At this moment it seemed that our Seer will get upper hand in the duel with skimmer, but faint-hearted marines have withdrawn, barrage from Whirlwind covered their withdrawal and badly wounded our Seer. I think that he was embarked on the Night spinner afterwards. Voidraven strike and destroyed one of the Whirlwinds, but at the end, only two of our tanks and Voidraven has been left on the field of battle and we were forced to withdraw. 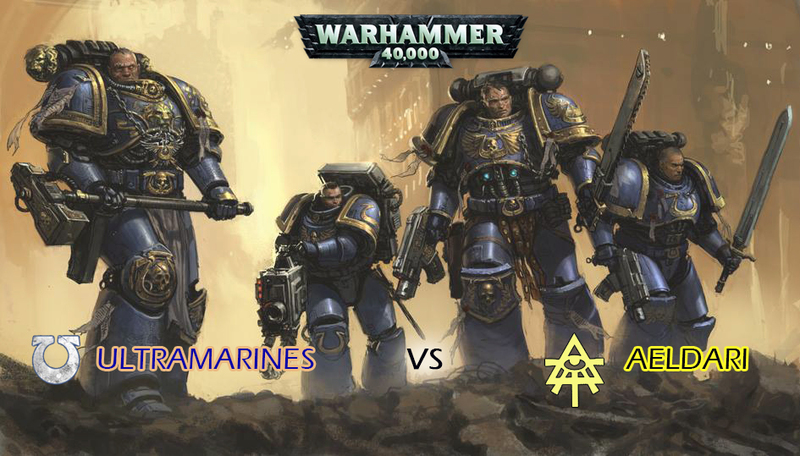 Marines payed heavy price for their betrayal. Things didn't look bright when I lose initiative. I lose my only non-vehicle units in the first round. It was probably mistake to unload wratihguard (and wraithblades) in front of his whole army, and it did not help that they made only two wounds on charge;both of them Marine player saved. Thinning terminator lines was mistake too. I should have concentrate fire on one unit until its destruction, than pass to other, with range terminator as top priority. On the other hand, one of mine Wave Serpents survived two turns on one wound remaining. At the end I was satisfied with final result and I am amazed how tough and durable our vehicles are. their durability and speed kept me in the game. This was my first spearhead list, and I think I will not go back to battalion.